This dinner pie is surprisingly satisfying. For a vegetarian version, just leave out the beef. Italian sausage may also be substituted for the beef. 1. In a skillet, brown ground beef with onion, green pepper, salt and garlic salt. Add oregano, parsley, bread crumbs, Parmesan cheese and egg, mixing well. Set aside. 2. 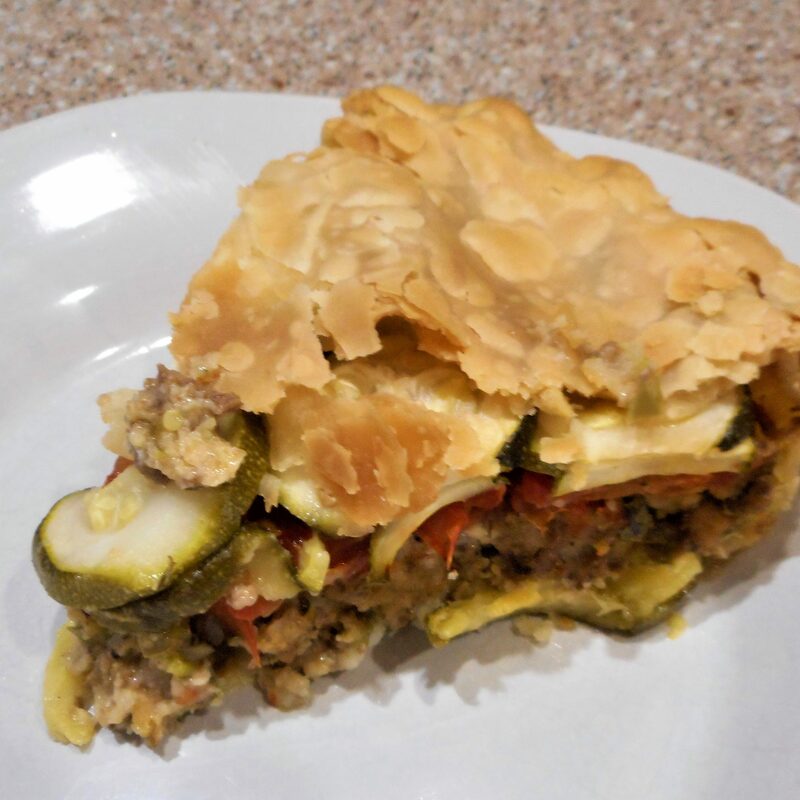 Place bottom pastry in pie plate and layer 2 cups of zucchini into the crust. Cover with beef mixture. Layer with tomato slices and remaining zucchini. Place top pastry over zucchini and crimp the edges, then cut a few slits in the top to vent steam. 3. Bake at 350° for 1 hour or until crust is lightly browned. Let stand 10 minutes before cutting to serve.